The Galaxy Note9 introduces exciting enhancements to the same great collection of high-performance Galaxy features that have, over the last few years, redefined the mobile experience. 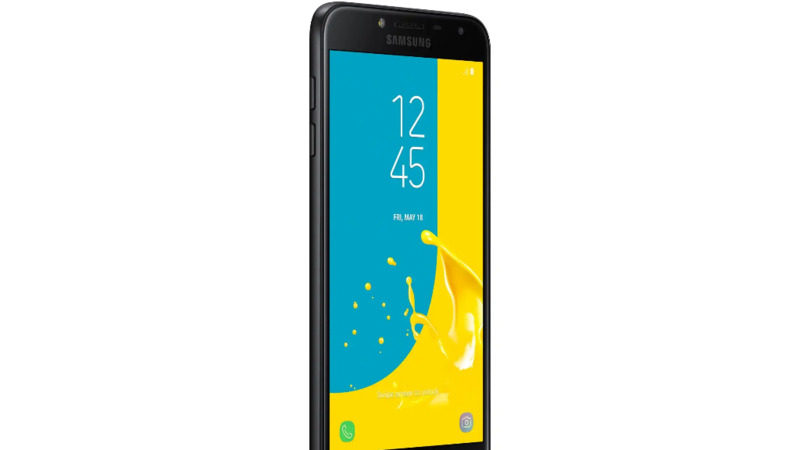 Featuring an all-day battery, expanded storage, fast processing and network speeds, and Samsung Electronics’ latest advancements in cooling technologies, the newest addition to the Note lineup has been engineered to offer the highest levels of power and performance. A phone designed for power users requires a likewise powerful battery. That’s why Samsung equipped the Galaxy Note9 with an all-day1, 4,000mAh battery—the largest ever featured on a flagship Galaxy device. Offering 21 percent more power than the Galaxy Note8’s 3,300mAh unit, the powerhouse battery allows you to spend more time being productive and less time tied down by chargers and power packs. 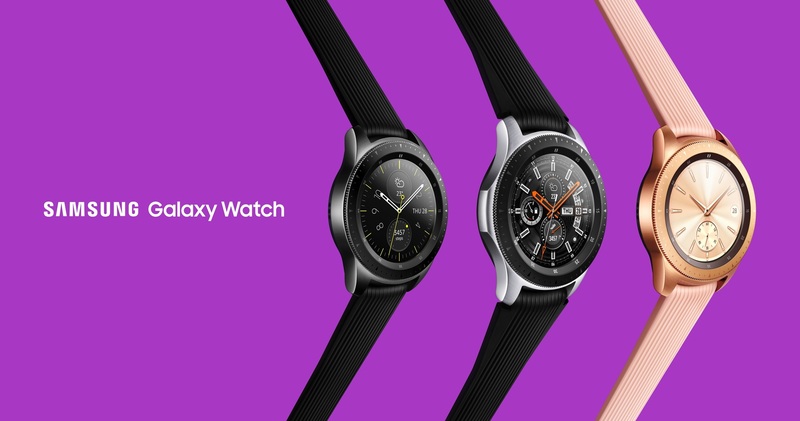 The fast-charging, wireless-capable battery is not only the most powerful that the Galaxy family has ever seen; it’s also the most reliable. That’s because its power and performance are backed by Samsung’s 8-Point Battery Safety Check—the most rigorous in the industry—and have also been validated by the experts at UL (Underwriters Laboratories) and Exponent. Samsung designed the Galaxy Note9 with a belief that not only should you not need to plan your day around our smartphone’s battery life, you shouldn’t need to delete your favourite photos, files and apps to make room for more either. To offer users more freedom to create and store dynamic content, the Galaxy Note9 comes with a default base storage of 128GB, including 6GB of RAM. The latter opens the door for over one terabyte of storage via microSD card3. Just how much dynamic content can the Galaxy Note9 hold? The 128GB model offers enough space for approximately 545 full HD (FHD) videos or over 22,000 images. The smartphone’s combination of ample storage and microSD support means that users will likely never need to erase old content to make room for more apps, files, or stunning photos or videos captured with its innovative camera. Like storage space, a phone’s processing speeds and network capabilities can directly impact users’ ability to get the most out of a given day. 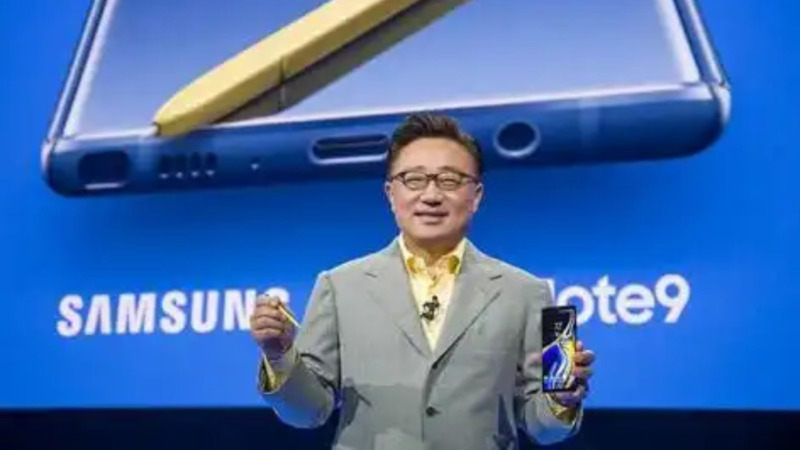 To offer users superior speed, the Galaxy Note9 comes equipped with a 10-nanometer processor that, in addition to boosting CPU and GPU performance by 33 and 23 percent, respectively5, supports the fastest network speeds available, with downloads of up to 1.2 gigabits per second (Gbps)6. The Galaxy Note9’s connections ensure that you’re never stuck in the slow lane when downloading or streaming your favourite content. The Galaxy Note9’s combination of premium power and performance is made possible, in part, thanks to its Water Carbon Cooling system, which allows the phone to run smoothly during heavy use. Samsung’s cooling system counteracts heat with a heat pipe, or ‘thermal spreader’, that ensures that the processor functions at optimal levels. The system, which was first introduced in the Galaxy S7, utilises changes in the phases of water to efficiently radiate heat. First, a porous structure filled with water absorbs the heat, then the water is turned into steam and moved through pipes. The steam then begins to cool and turns back into water and the process begins again, dispelling more heat with each subsequent cycle. To help ensure that the Galaxy Note9 remains cool under pressure, Samsung equipped the device with a heat pipe that’s three times larger than the Galaxy Note8’s, and increased the system’s internal water intake to allow for greater heat absorption. The system also benefits from an enhanced carbon fibre TIM (thermal interface material) that transfers heat from the processor to the thermal spreader with 3.5 times greater efficiency, boosts thermal conductivity, and helps prevent overheating. The Galaxy Note9 also features an on-device AI-based, performance-adjusting algorithm that provides up to 40 percent more stable FPS (frames per second) when gaming. 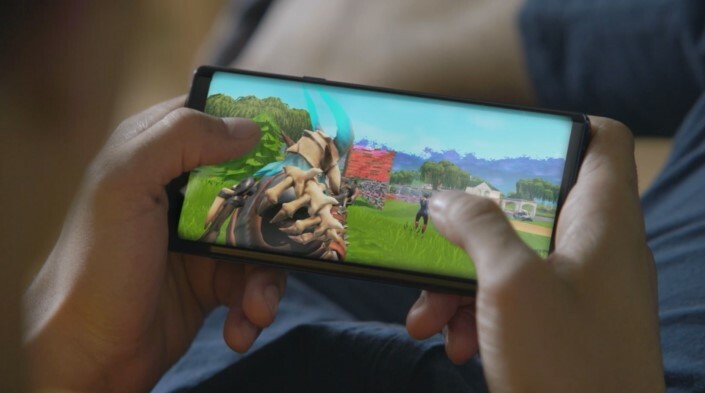 This allows the smartphone to provide smoother visuals and a more enjoyable experience when playing top games like “Fortnite”. In an action-packed game like “Fortnite”, FPS drops can mean the difference between life and death. Timing and accuracy are everything, and unstable FPS can hinder your ability to anticipate an attack and can cause a carefully aimed shot to hit just off the mark. The Galaxy Note9’s smooth and stable gameplay makes it easier to immerse yourself in the on-screen action, offering a competitive edge in your quest to become the last player standing. 1Estimated against the usage profile of an average/typical user. Independently assessed by Strategy Analytics between 11-24 July 2018 in Santa Monica, CA, U.S. and Milton Keynes, U.K. with pre-release versions of SM-N960 (128GB). Actual battery life may vary. 2Compared to the Galaxy Note8. 3Speeds may vary by carrier and region.